Patients frequently telephone reception asking for their test results. This has the effect of "blocking" the switchboard. In any case, the receptionists do not have the authority to give results over the telephone but may indicate if they are back. As a rule of thumb, simple blood tests are back in 3 working days and X-rays are back in 10 working days. 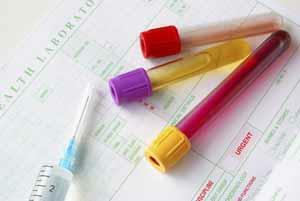 More complicated blood tests may take several weeks. Despite what is said in hospital, from the time your hospital doctor dictates your letter, to the time it is typed and then posted to the surgery, 2 to 4 weeks may have elapsed. Urgent letters, however, are often sent by facsimile. Blood tests are downloaded electronically from the hospital haematology laboratory on to each doctors computer in his/her office. Doctors at Lister Medical Centre review all tests and letters daily (in their absence they have an agreed "buddy" to do it). If any abnormal results are noted, the patient is telephoned at home or a letter sent, unless the patient has already been told to return to see their GP at a specified time. Results can take up to 7 working days. Please do not telephone for results as the staff cannot give them over the telephone. If any abnormal results are noted, the patient is telephoned at home or a letter sent, unless the patient has already been told to return to see their GP at a specified time. For registered patients only. Appointment required; telephone 01279 639 791. For details of PAH's blood test locations and opening hours please click here. For details of PAH's X-ray locations and opening times please click here.